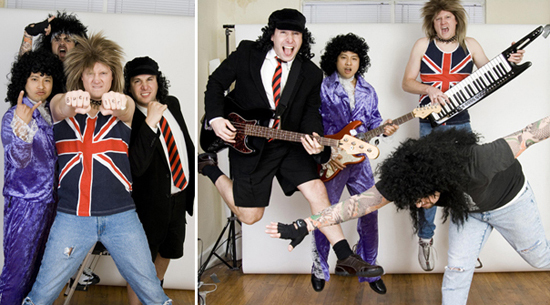 Bueller is Nashville’s live tribute to the very best in 80s music and more. They can be seen playing clubs and events in Nashville on a weekly basis. Bueller, well-versed in providing entertainment for wedding receptions, special events, clubs, festivals and charity events, is more than happy to tailor each performance specific to your needs and will work to make sure that both you, and your guests, enjoy your wedding or special event to the fullest. 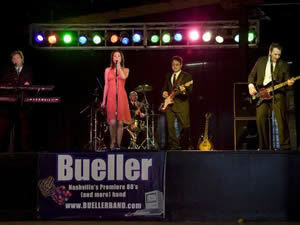 Bueller band is comprised of professional musicians who’ve been playing together for several years. The band features 5 lead vocalists. Their tightly knit sound, 500+ song list, and ability to tailor and transform their performance to entertain any crowd puts Bueller in a class that is unmatched by any other band.